Want to sit down to an authentic Italian meal without leaving Marlton, NJ? Come to Bertucci’s, located near the AMC Marlton 8 and the Promenade at Sagemore shopping area, and enjoy flavorful food that is sure to leave you with a smile on your face. Our house-made dough, tomatoes grown solely for our restaurants, and roasted small-batch vegetables are procured fresh each and every day. Whether you order a signature pizza from our brick oven, an authentic pasta dish, or a sweet something from our dessert offerings, we can ensure you that our staff will provide you with exceptional cuisine and service. Whether you’re celebrating a special occasion, or you just need to get out of the house for the night, Bertucci’s is the ideal spot. Our dedicated staff will make sure you have an excellent experience every time you visit, whether you’re here for lunch, dinner, or a reserved event. 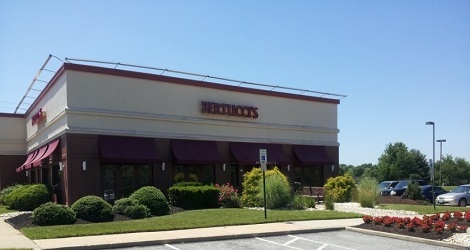 We take pride in serving Marlton and treating everyone who visits us like part of the Bertucci’s extended family. No matter what kind of Italian food you like best, our extensive menu is sure to feature something you (and everyone in your party!) will love. From brick oven pizzas that first made our establishments famous to calzones made with authentic Italian ingredients, we’ve got traditional dishes covered. No time to sit and dine? Order online or call for 2Go or delivery. If you’re getting ready for a special occasion or meeting but don’t have time to cook, give us a call for catering.